Majorca has long been a popular destination for The Luxury Editor and we aren’t the only ones to have an affinity for this Balearic jewel. Majorca’s incredible beaches, fabulous cuisine, laid-back atmosphere and unbeatable nightlife makes it appealing to many who visit. It is fair to say that the island has a reputation as a budget destination, but there are also some incredible luxury hotels peppered across island and here are some of the best that the island has to offer. Looking for a city break read about the best hotels in the capital Palma. 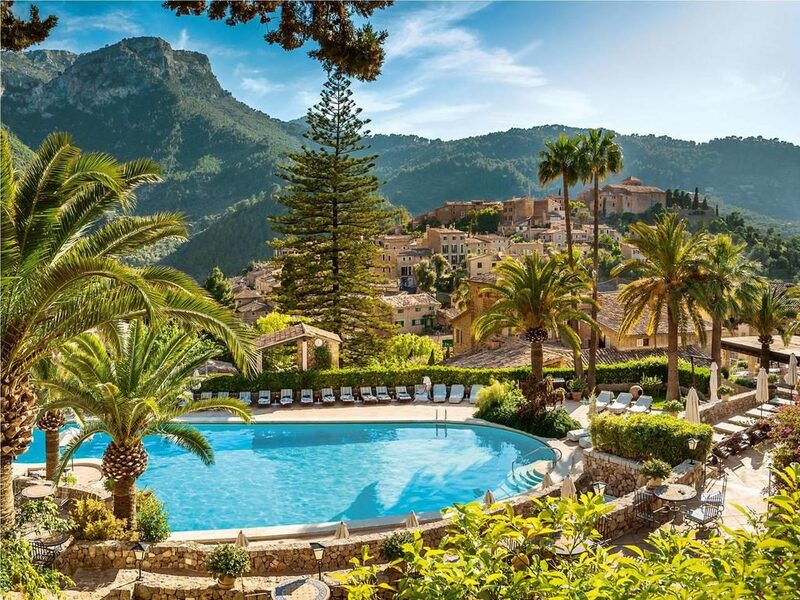 Deià may be just a small mountain town on the island, but it is home to one of the most luxurious hotels in the entire region. Surrounded by lush greenery and uninterrupted views, La Residencia has a relaxed and artistic feel that is worlds away from the more generic international hotel chains we have grown used to. Every single one of the hotel’s rooms, suites and villas is decorated in a specific style, and no two parts are the same. Guests will love the facilities on the property, which include a full spa, several restaurants and bars, two outdoor swimming pools, tennis courts, a full fitness facility, an art gallery and even a shuttle that goes directly into the heart of Deià. 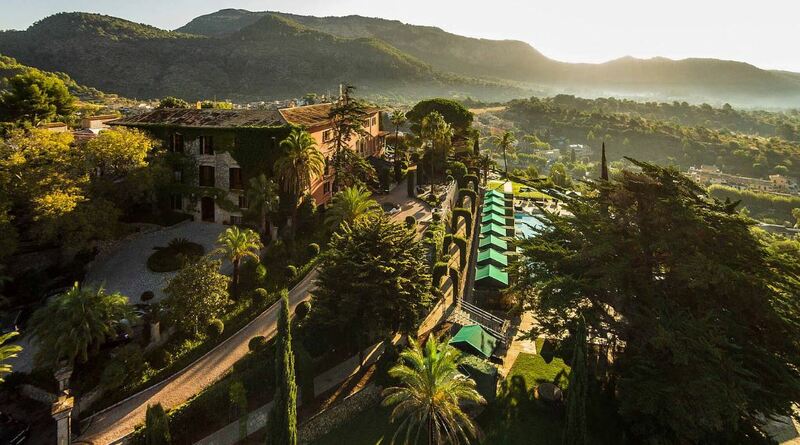 In a dreamy location in the Galatzo nature reserve, with the Tramuntana Mountains as a backdrop and just a short walk from Puigpunyent village is Gran Hotel Son Net. This beautifully Spanish country house is resplendent with marble floors, tall vaulted ceilings, sumptuous textiles, walls are adorned with quirky artworks by the likes of David Hockney interspersed with antiques and historic bits and pieces. The main lobby is a cavernous space with lofty ceilings, tiled floors and comfy sofas. The 31 rooms are uniquely styled and super spacious. They each have a lovely romantic rustic charm about them, many with beamed ceilings, patios and all with stunning marble bathrooms. The hotel boasts an intimate cocktail bar, a 30-metre pool set amongst lush manicured gardens, wellness center for treatments and massages which can also be carried out alfresco, plus an incredible treehouse that can accommodate up to 8 guests for special occasions! For gourmet dining Oleum is the hotel’s offering, a restaurant with exposed stone walls and old wooden beams. Gran Hotel Son Net is the ideal Spanish countryside retreat. 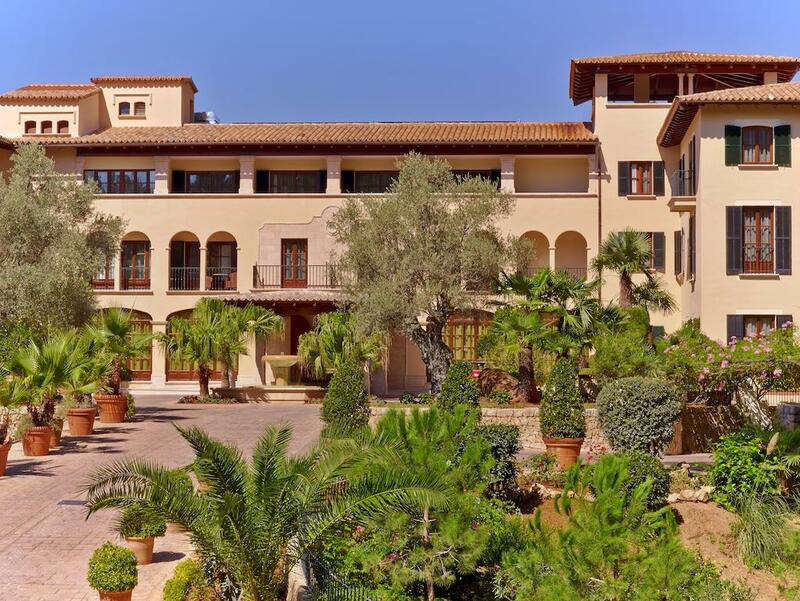 For those who want to be pampered in every possible way, there are few hotels that can compare to the Sheraton Mallorca Arabella Golf Hotel. As you might expect golf is at the heart of the hotel’s draw and guests are able to play unlimited golf at no cost when they stay at least one night. Even those who are not big fans of teeing-off will appreciate the luxurious spa treatments, numerous restaurants and services that include private airport transfers. 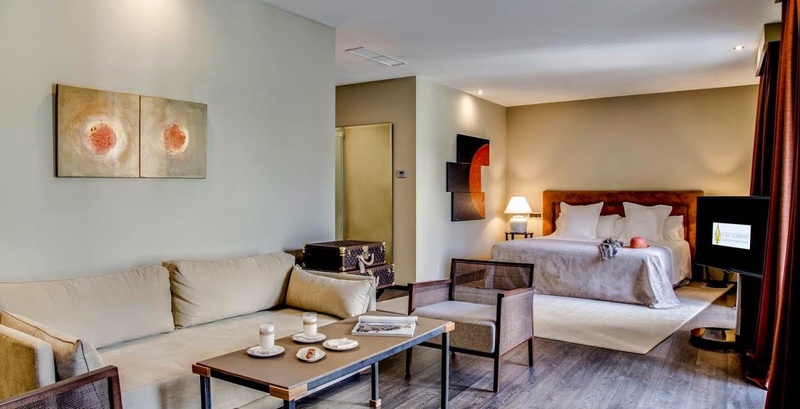 There are amenities for children as well as adults, and the hotel is designed to be a haven just outside of the hustle and bustle of Palma de Mallorca. 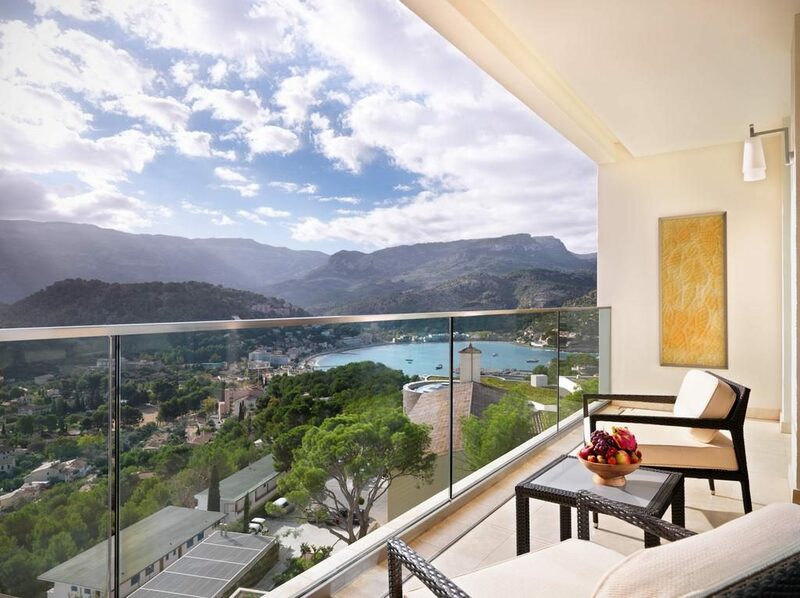 Just steps from the Mediterranean coastline, the St. Regis Mardavall Majorca Resort is a top choice for those who want quick access to beautiful beaches. From their basic rooms all the way up to diamond suites, the decor is lavish yet tasteful. The full spa and fitness facility is among the best on the island, and it serves as a place where guests can completely unwind and relax in paradise. Golf enthusiasts will appreciate the four courses as well as a golf academy, which is where you can perfect your swing or get advice from a professional golfer. Dining is exceptional, and guests can dig into gourmet cuisine at Aqua or indulge in some tapas with cocktails by the pool. Located in a former 19th century palace, Can Alomar preserves much of the elegance of the original building. A lesson in understated style and luxury, the hotel combines the splendor and space of a palace with contemporary furnishings and finishes. With only 16 rooms which include 9 suites, this hotel is truly boutique in size. Décor is sophisticated and discreet – walls are painted in neutral tones, adorned with modern art, and textiles are kept sumptuous and luxurious. 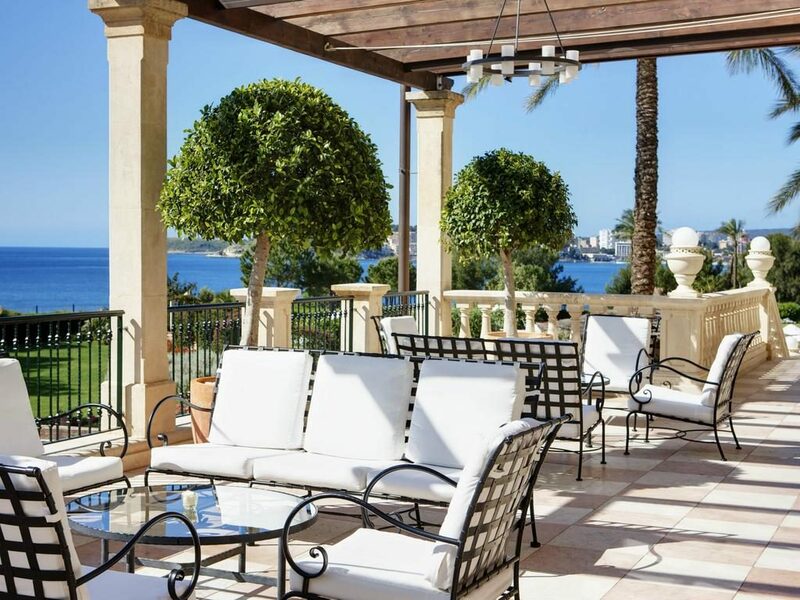 We adore the discreet but attentive luxury concierge, whilst the plunge pool and solarium on the roof is an ideal spot for chilling out with views of the cathedral and bay of Palma. There is even a charming tower at the top of the hotel available for private massages and celebrations. Dinner takes place in the stylish De Tokia a Lima restaurant, serving up a creative and unique selection of Mediterranean, Peruvian and Japanese gastronomy either in a relaxed brasserie-like interior or on the tranquil terrace overlooking the Paseo del Borne. 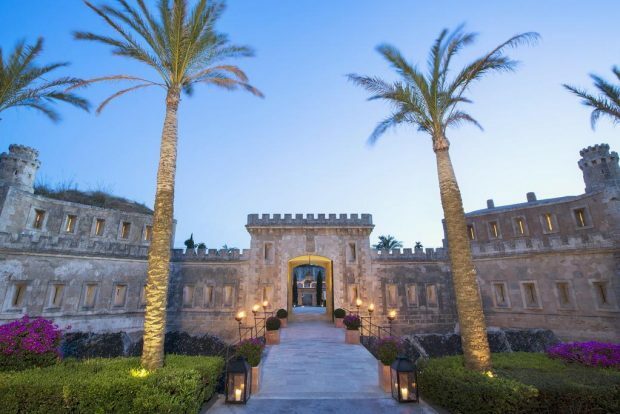 This boutique hotel may be the most unusual hotel in all of Majorca, but it is also one of the most fascinating as well as luxurious places to stay on the entire island. Built in a former military fortress, the hotel structure itself is breathtaking, especially when illuminated at night. The area surrounding Cap Rocat is quiet and secluded, and the buildings fit perfectly into the gorgeous natural surroundings. Guests will love being just steps from a private beach, but there is also a secluded swimming pool in the heart of the fortress. 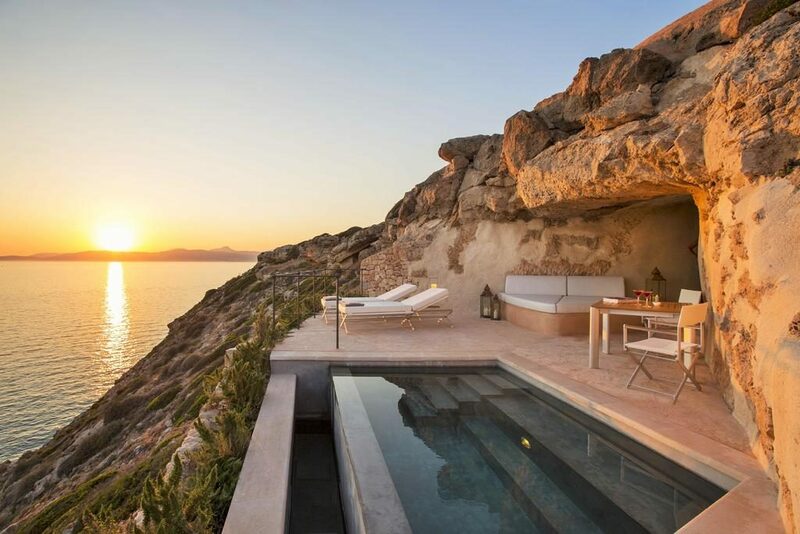 Spa treatments, nature walks and unparalleled gourmet cuisine are all part of what makes a stay at the Cap Rocat such an unforgettable experience on Majorca. Nestled in the base of the Tramuntana Mountains is the Jumeirah Port Soller Hotel & Spa, a perfect retreat on the island. With 120 rooms and suites, guests receive personalised attention throughout their entire stay. The highlight of the hotel is the lavish spa, which offers treatments ranging from beauty services to indulgent massages.